14. April 2018 "First gathering"
At the Token Investment Summit in Vienna the Finance Working Group of the Blockchain Bundesverband initiated a meeting of the EU members of BlockchainHub’s international legal working group in order to work an an EU wide token regulation paper. 13. 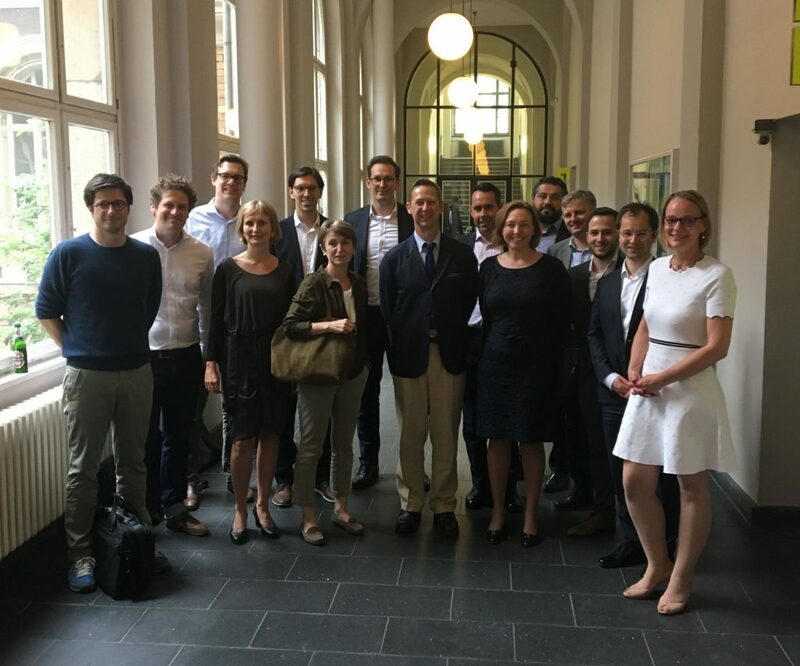 June 2018 "Token regulation in the EU"
Hosted by the German Blockchain Association "Bundesblock" and the FOM Hochschule for Economy & Management in Berlin, Germany. Welcoming remarks from Dr. Markus Büch, FOM Hochschule for Economy & Management, followed by a presentation of the Bundesblocks vision from Florian Glatz, Chairman of the Board Blockchain Bundesverband. Dr. Nina-Luisa Siedler, Speaker Finance Working Group BlockchainBundesverband presented the current EU laws regarding token regulation, followed by a discussion with Peteris Zilgalvis, J.D., Head of Unit, Startups and Innovation, European Commission and members of the Political Advisory Board Blockchain Bundesverband (Marcus Ewald, Speaker, Dieter Janecek, MdB BÜNDNIS 90/DIE GRÜNEN). Afterwards it was shed light on country specific regulations by members of the EU wide Token Regulation Working Group. 28. November 2018 "Foundation of thinkBLOCKtank and discussion of EU token regulation paper"
Hosted by thinkBLOCKtank in Luxembourg. After a short introduction from Monique Bachner, Sorin Cristesco from the European Commission's Blockchain Competence Centre gave an introduction to the EU's blockchain projects, followed by a speech from Tobias Seidl from Stokr about the challenges for security tokens. Nina-Luisa Siedler gave an introduction to thinkBLOCKtank and the newly formed working groups presented their upcoming scope of work. 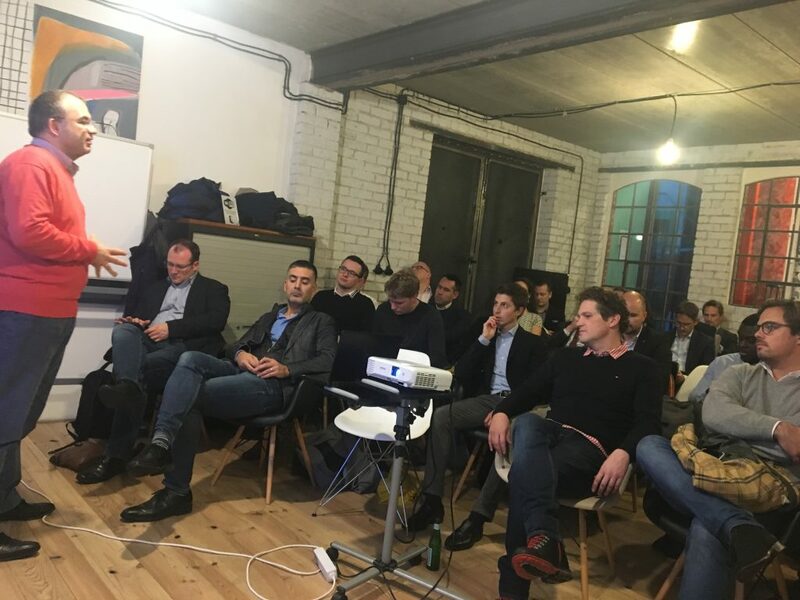 The Meetup concluded with networking drinks and lots of opportunity to discuss with the members of thinkBLOCKtank and various participants, including various representatives of the German financial supervisory authority BaFin, SWIFT, and many blockchain community members.